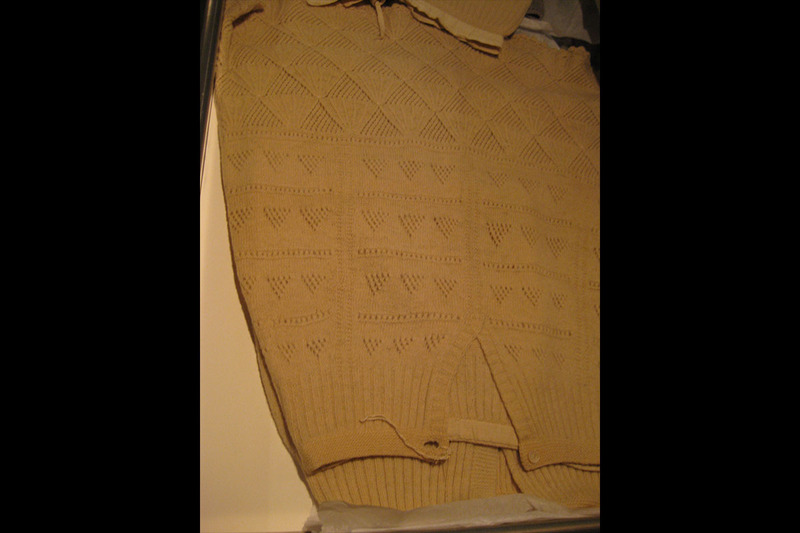 In my previous blog post, I told you about the special exhibit titled “From Underwear to Everywhere: Norwegian Sweaters” that is on display at the Vesterheim Norwegian-American Museum in Decorah, Iowa, now through April 24, 2016. But, as with many museums, Vesterheim has many more wonderful items than they can display at any one time and Chief Curator Laurann Gilbertson took my two friends and me behind the scenes for a special peek at some items in storage. 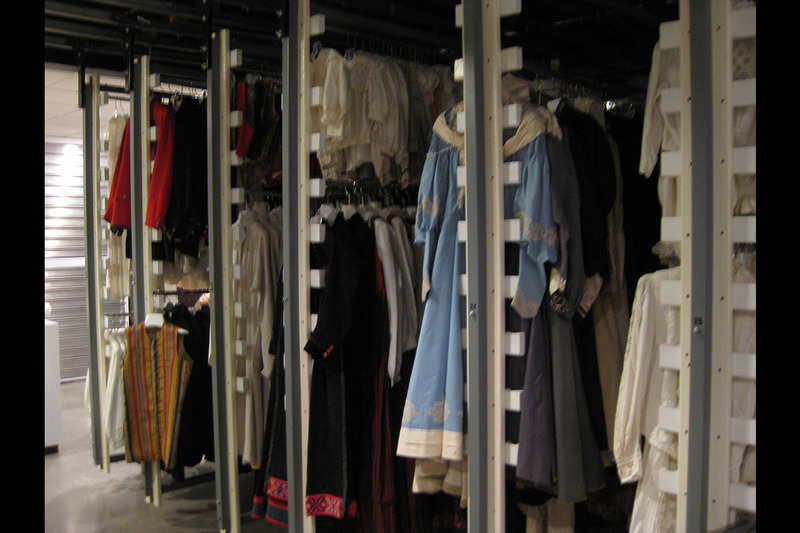 We went back through the area hanging full of clothing to find drawers upon drawers of special items. 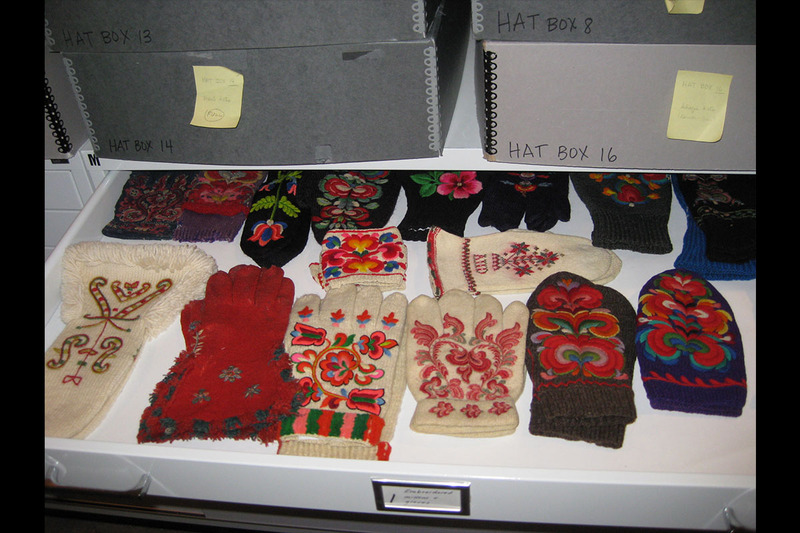 This drawer held mittens and gloves knitted in classic two-color Norwegian style, such as the classic Selbu rose. 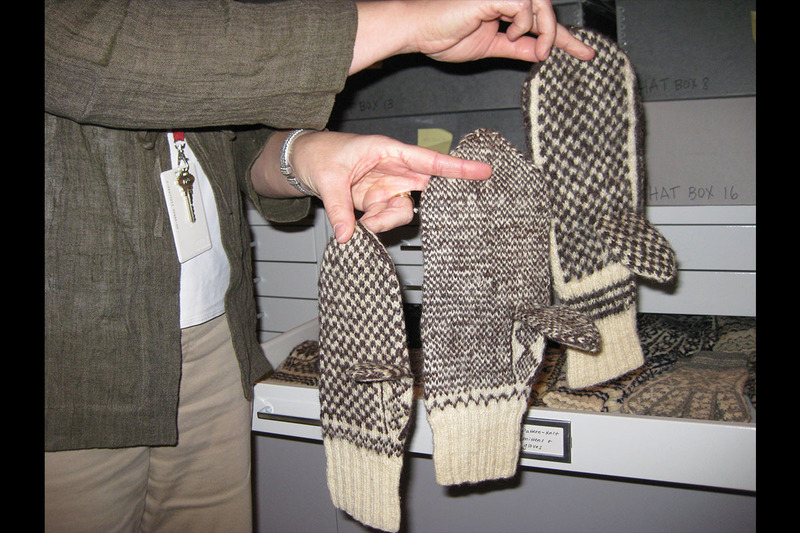 Knitting gloves and mittens like this was a cottage industry that allowed Norwegian women to earn money for their families by selling their goods, often through the government-created Husfliden (handicrafts) stores. 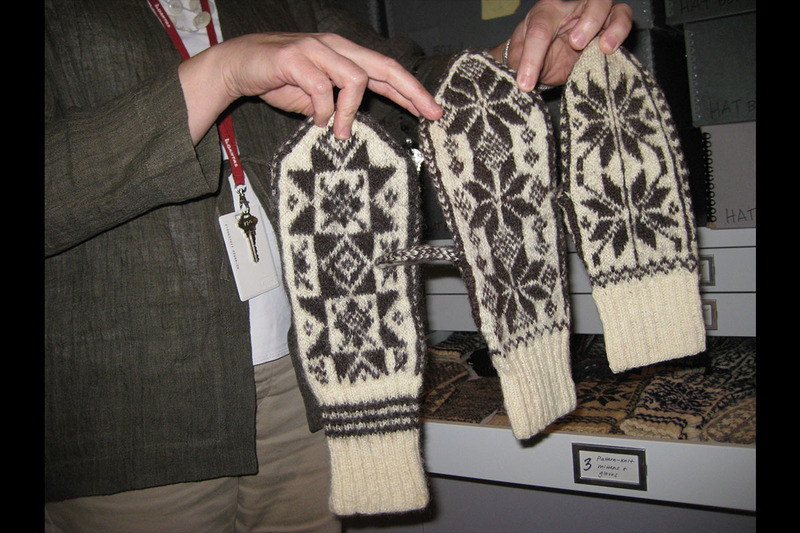 These 3 mittens, shown front and back, were made in three sizes by a knitter in Norway and sent to her son who was an immigrant in the United States. Note the decorations on the thumb gussets. 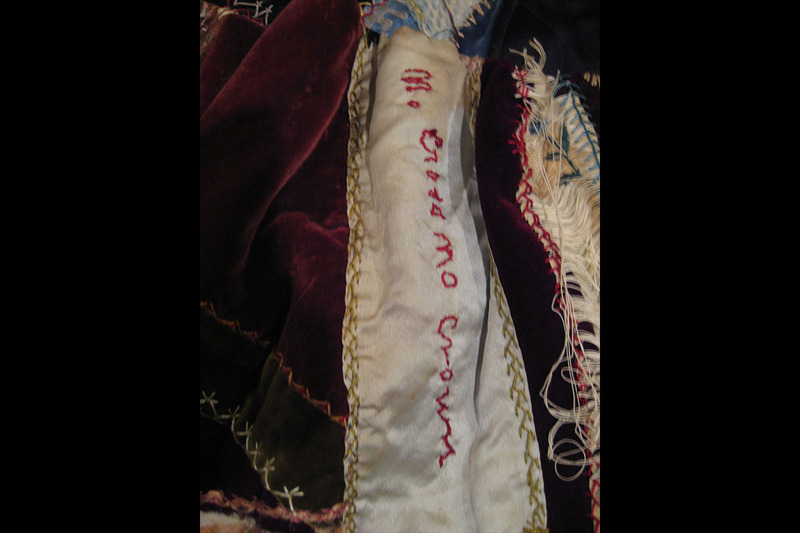 Gloves such as these were often made by a bride for her wedding. 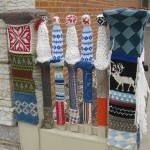 A bride was also expected to supply hand-knitted mittens or gloves to all of her wedding guests. 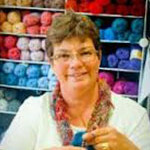 She could have help from other knitters in her family, but would frequently begin this knitting job well in advance of her wedding. Fancy gloves or mittens were saved for special occasions and wearing to church, where covering one’s hands was a sign of respect. 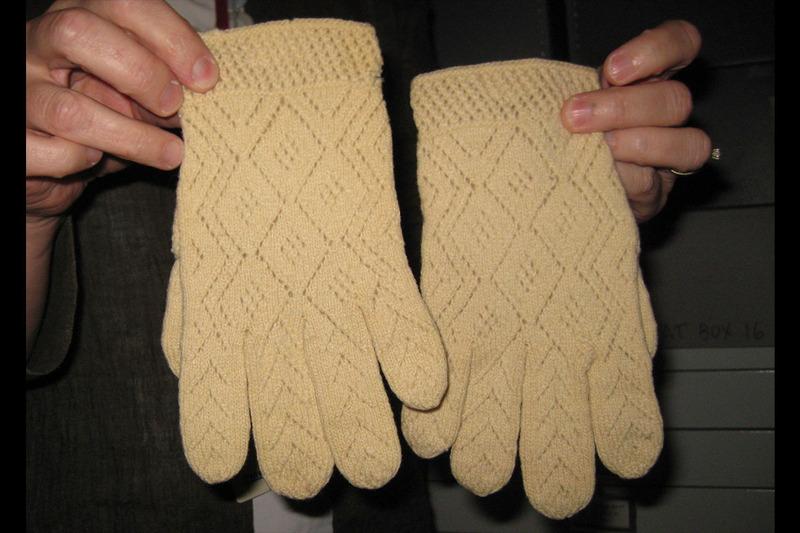 Patterns could be knitted in or embroidered on later, as on these gloves. When non-plant-based dyes became available, Norwegian knitters began to combine bright colors in a showy display. 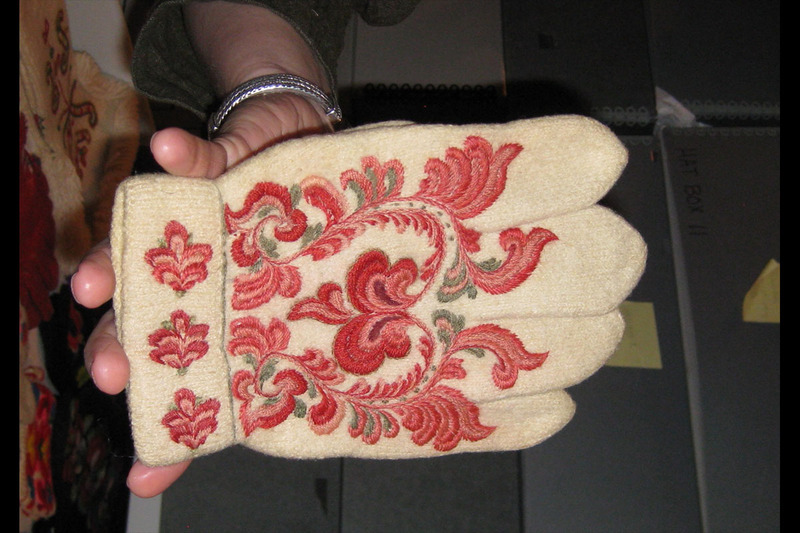 This embroidered mitten uses a pattern similar to rosemåling (rose painting), a style of Norwegian decorative painting on wood that uses stylized flower ornamentation. 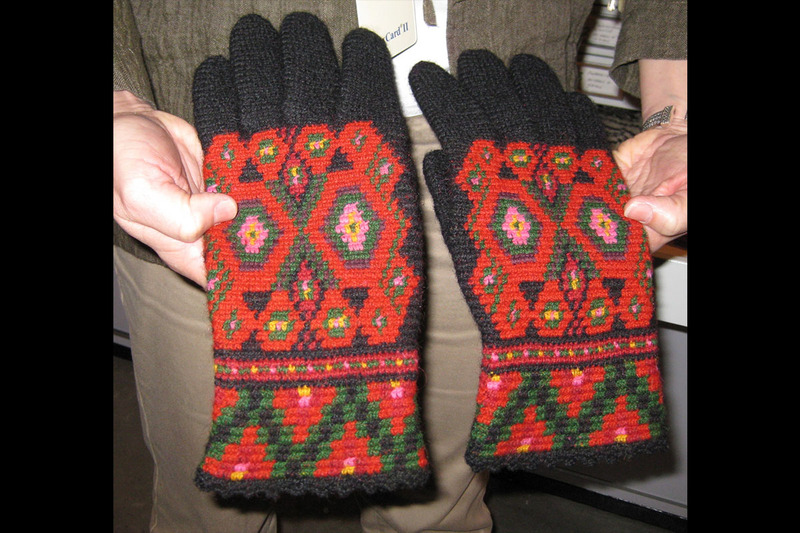 Crocheted tapestry gloves, such as these, were made in narrow pockets of Norway. These gloves with a lace pattern were featured on the cover of the November/December 2008 issue of Piecework magazine and the pattern was in the magazine. 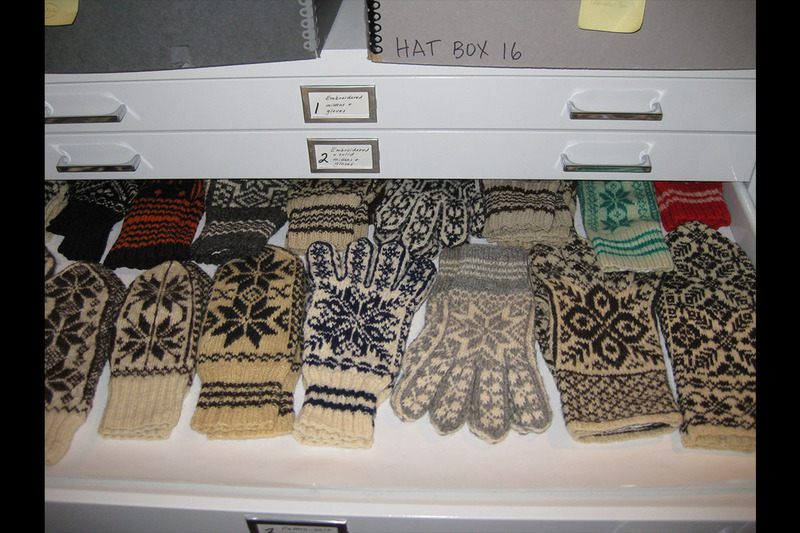 Nancy Bush used gloves owned by Ingeborg Rogndokken Breiseth as the inspiration for her elegant project as well as for her article, which traced the tradition of knitted wedding gloves in Norway. 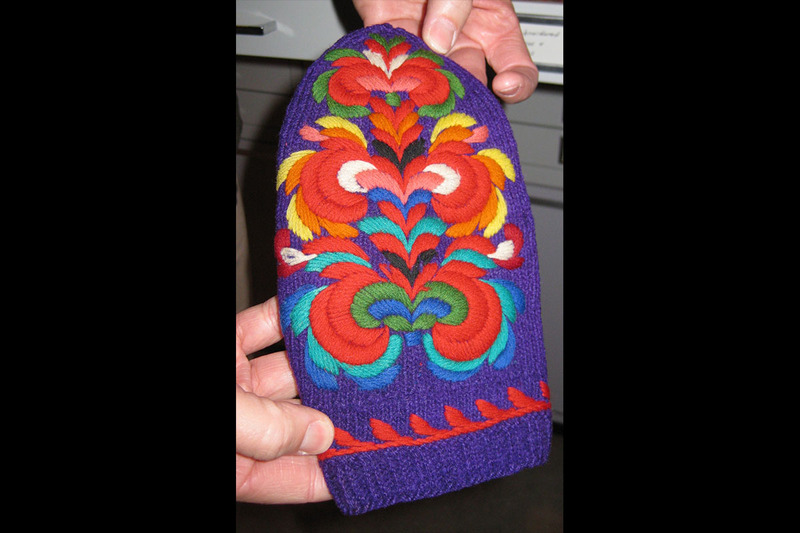 This cap was included in the book Norwegian Handknits: Heirloom Designs from Vesterheim Museum by Sue Flanders and Janine Kosel. 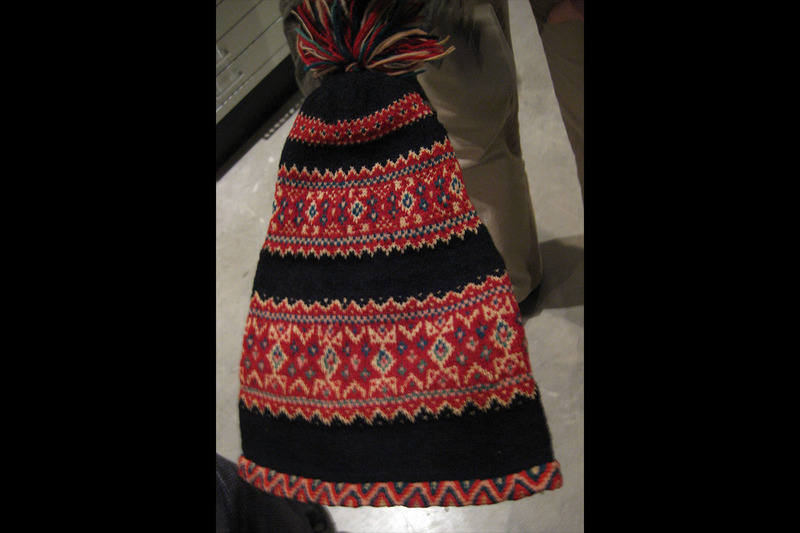 Called the “Dancing Hat”, the pattern is available in the book. Can you believe that this lovely item, knitted in fine yarn on small needles, was not worn as an outside garment? It is a petticoat meant to be worn as a middle layer, between a woman’s underwear and her dress or skirt, for warmth rather than decoration. Lastly, I know this is not knitting or crochet, but I can’t resist sharing it. This dressing gown was made by Helena Rossing of Argyle, Wisconsin, for her daughter Viola. 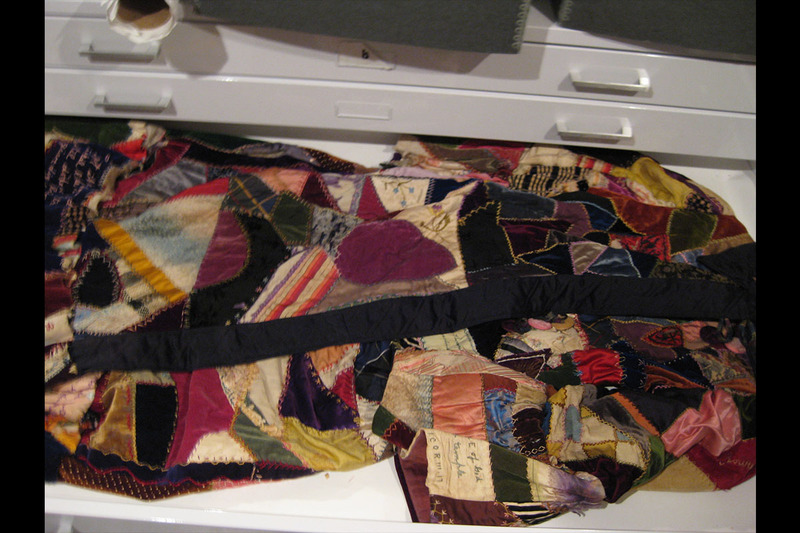 The crazy quilt pieces of fine fabrics such as velvet and silk were hand-sewn together and some featured Bible verses and sayings in either English or Norwegian. Like those of us who knit or crochet, Mrs. Rossing must have lavished a great deal of time in creating this work to show her love. For a full picture of the dressing gown, visit the Vesterheim site http://collections.vesterheim.org/items/show/365. Once again, mange takk (many thanks) to Laurann Gilbertson for showing us the treasures of Vesterheim Norwegian-American Museum.